The Iron Dome is considered to be one of Israel’s most significant and momentous domestic inventions, but the interception system’s inception was bumpy, to say the least. Israel’s security situation at the beginning of this century raised the need for a system that would counter the rockets and missiles posing a threat to the country. Israel’s political and military organizations were fraught with extensive discord regarding the degree of both the necessity and the efficacy of the proposed solutions. Despite ongoing dissent, in 2006, the Ministry of Defense instructed RAFAEL to embark on the development of an interception system to be named the Iron Dome. The mission was to develop an interception system within a very short period of time and with low operating costs, which would serve as an aerial layer of defense against short-range threats. It would be highly mobile and could operate day and night, under all weather conditions. The primary developer of the Iron Dome was government subsidiary Rafael, working in collaboration with ELTA, the developer of its radar system, and mPrest, the developer of its monitoring and control system. Teams employing hundreds of engineers from a variety of fields took part in the relatively fast development process. The Iron Dome, the only interception system of its kind, has highly advanced monitoring and control capabilities designed to discriminate between missiles and rockets hurtling towards populated areas, and those headed towards open fields or the sea. In April 2011, the system passed its first operational test when it was required to intercept Grad rockets launched towards Ashkelon. Since its deployment, the Iron Dome has intercepted over 1,700 missiles and rockets fired at Israel from various areas. For example, in 2014, in Operation Protective Edge, the system had a success rate of roughly 90 percent. It is estimated that the Iron Dome saves the Israeli economy billions, since it allowes Israelis to go about their day-to-day lives, and enables the economy to run without interruption in times of emergency and war – not to mention the significant reduction of property damage and loss of life. The sense of personal safety it provides for Israeli citizens is difficult to quantify. 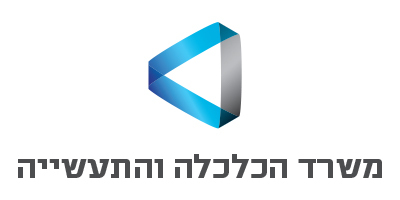 In 2012, the Iron Dome and several of its developers were awarded the Israel Defense Prize. It has also been lauded on the international stage, winning awards for technological innovation. A number of countries have expressed an interest in purchasing it. In 2017, the maritime version of the Iron Dome was declared operational for the defense of naval vessels, strategic infrastructure, and other assets.